The year of 2017 has reached its mid point. 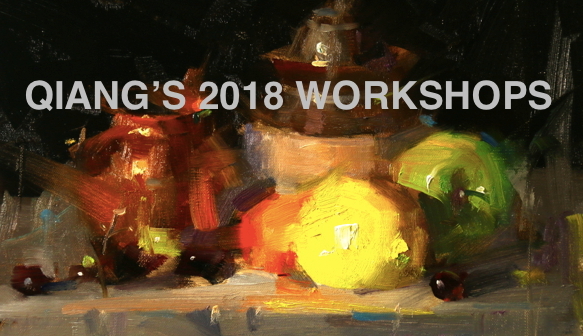 So I think it is a good time to announce my 2018 workshop teaching schedule. It has been just published. You can access it anytime. Just go to my website and press the "Teaching" tab. Similar to 2017, I will travel all over and share my painting process. If you are interested in taking one, please contact the organizer of the corresponding workshop and sign up. Happy painting and bettering (is that a word?). This was what I did at Lowell in the second day. I am so behind in posting my painting lately. After I returned from my Italy trip, I have been to Lowell, Michigan. This is my first demonstration on my Lowell workshop. I am back to my usually still life demos. As matter of fact, I have been improving in baby steps. I am pretty happy about this one. I want to thank the Franciscan Life Process Center and Kathy Bechtel for organizing my workshop and thank to all the US and Canadian artists for coming and painting with me. Because some Internet issues, I did not update you my activities in Italy. 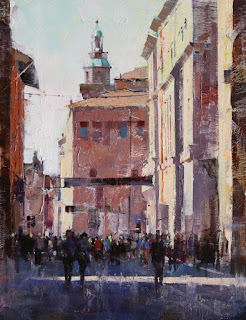 This is the second plein air demonstration I did at Florence. We are at the bank of Arno. There were so many old architectures in front of us. I didn't copy any structure "correctly". I painted my "feelings" of those beautiful houses. I was extremely humbled facing those beautiful buildings. 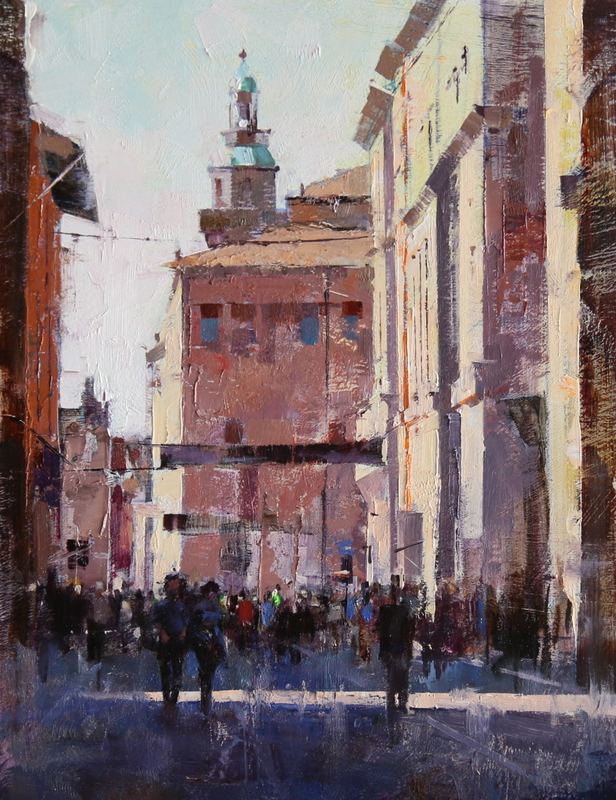 I felt my art is really neglectable in the place like Florence. Also I felt extreme fortunate that I was able to visit Florence as an artist.